Grilled Kebab Cooking On Metal Skewer. Roasted Meat Cooked At Barbecue. BBQ Fresh Beef Meat Chop Slices. Traditional Eastern Dish, Shish Kebab. Grill On Charcoal And Flame, Picnic, Street Food. Фотография, картинки, изображения и сток-фотография без роялти. Image 110367433. 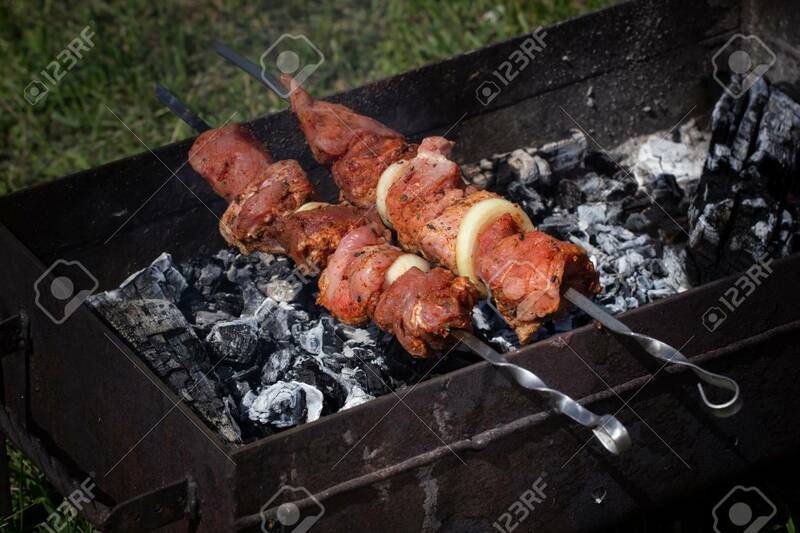 Фото со стока - Grilled kebab cooking on metal skewer. Roasted meat cooked at barbecue. BBQ fresh beef meat chop slices. Traditional eastern dish, shish kebab. Grill on charcoal and flame, picnic, street food. Grilled kebab cooking on metal skewer. Roasted meat cooked at barbecue. BBQ fresh beef meat chop slices. Traditional eastern dish, shish kebab. Grill on charcoal and flame, picnic, street food.